My GUESS is that someone here will HELP you. Welcome Bullitt. Have you tried www.boatoutfitters.com/ or www.marinesurplusinc.com/ ? Pictures will help you. I've seen your request on three websites and not one photo. The late 80's were a time when CC was relying heavily on mass produced off the shelf hardware and trim so chances are good you'll find what you need. However, unless we can see them it's hard to know what we're looking for. 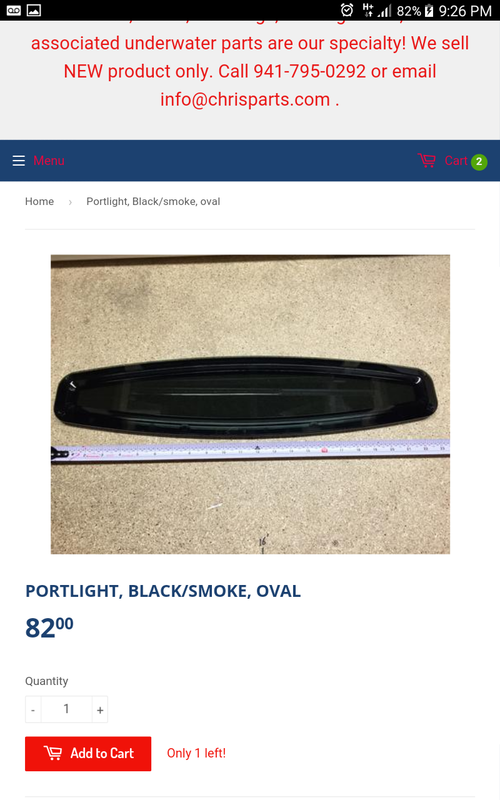 It took me 6 months to find porthole windows for my 78 Lancer but I found 4 NOS pieces eventually. I'm curently fabricating a full enclosure with 1" Stainless hit me back I have many photos of original amerosports....... seats canvas frames etc.